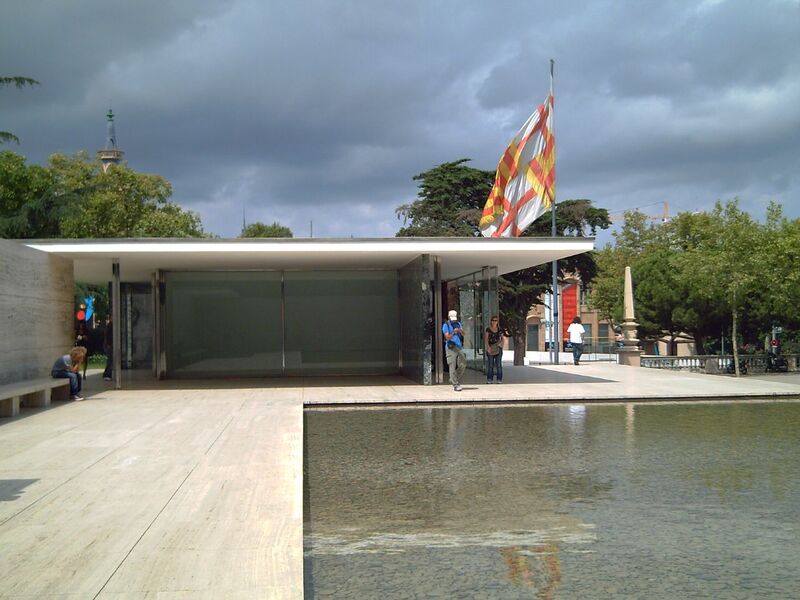 Today I show you some pictures about Ludwig Mies van der Rohe Pavilion described in my previous post. 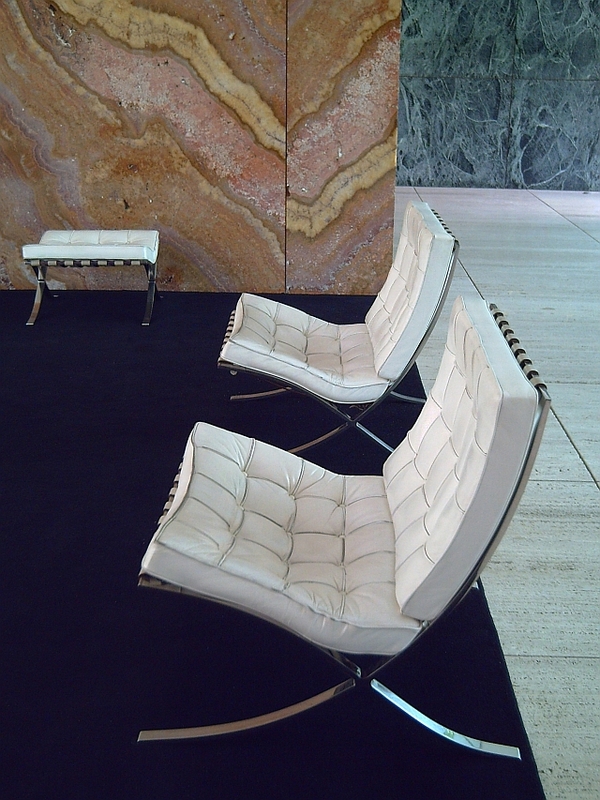 Ludwig Mies van der Rohe was born in Aachen, Germany in 1886 and died in Chicago, Illinois in 1969. Influenced by Prussian architect Karl Friedrich Schinkel and his use of simple cubic forms and broad proportions and seduced by Russian Constructivism and the Dutch De Stijl group, this young employee in his father's stone-carving business soon got to hobnob with the best of Berlin's cultural society in the 20's. He entered the famous Bauhaus design school, and created modernist furniture classics such as our Barcelona Chair in 1929 and the Brno chair in 1929-1930. Here is another picture of Ludwig Mies van der Rohe Pavilion, one of the best exponents of his new ideas: enclosed large open "universal" spaces with clearly ordered structural frameworks. Great photo and really interesting description. Bauhaus.. what a great influence on so many! Love this shot and all the others too. I have put an extra link on my site for you ! m'encante, en quant a la foto te una nitidesa inmillorable. I knew it! My dream chairs! I've always lusted for these to come to my home one day. Very nicely composed photograph, interesting description. I have been studying this post for weeks now and i understand completely! Thank You so much for sharing this. Agreed - the Barcelona chair is an impressively beautiful chair. Great pics!